Make-up artist and hairstylist blog about beauty, make up, hair and looking good form Orchid Blush Hair and Make-Up Artists. Our lead artist Ruth Marcella is really happy to have become beauty editor at new Liverpool magazine Suburbs and the City —which has lots of news from around the city. Ruth will be providing beauty tips each week so check it out. Liverpool Wedding Show ORCHID BLUSH Catwalk Team - Third Year running and better than ever! This weekend our Orchid Blush Hair and Make-Up team provided the catwalk hair and make-up for The Liverpool Wedding Show at the Echo Exhibition Centre. We also had a wedding stand and met lots of new brides about bridal hair and make-up trends and lots of ideas about the styles for their wedding day . Looking forward to wedding season again and being part of all the lovely brides that booked with us. We have opened up bookings for 2019/2020 (and have limited availability for 2018) so if you are getting married or have an event when you want to look your best get in touch to find out more …. 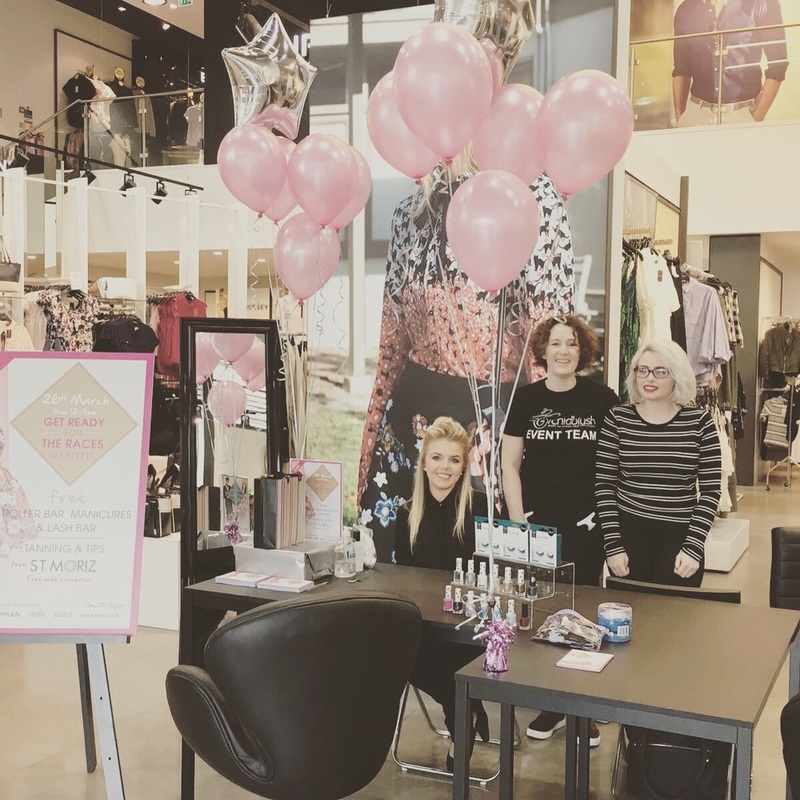 On Saturday 11th March, shoppers who visited the fashion outlet OUTFIT in New Mersey’s Retail Park, were treated to complimentary nail and hair makeovers provided by the Orchid Blush team. The team spent the day creating fabulous hairstyles and painting colourful nails for anybody who was visiting the store and fancied a bit of pampering. The event was organised as a promotional activity by OUTFIT and was very popular. The Orchid Blush team were kept very busy and thoroughly enjoyed their time in the store. For more information on Orchid Blush or to view any of our previous work, please follow us on social media. 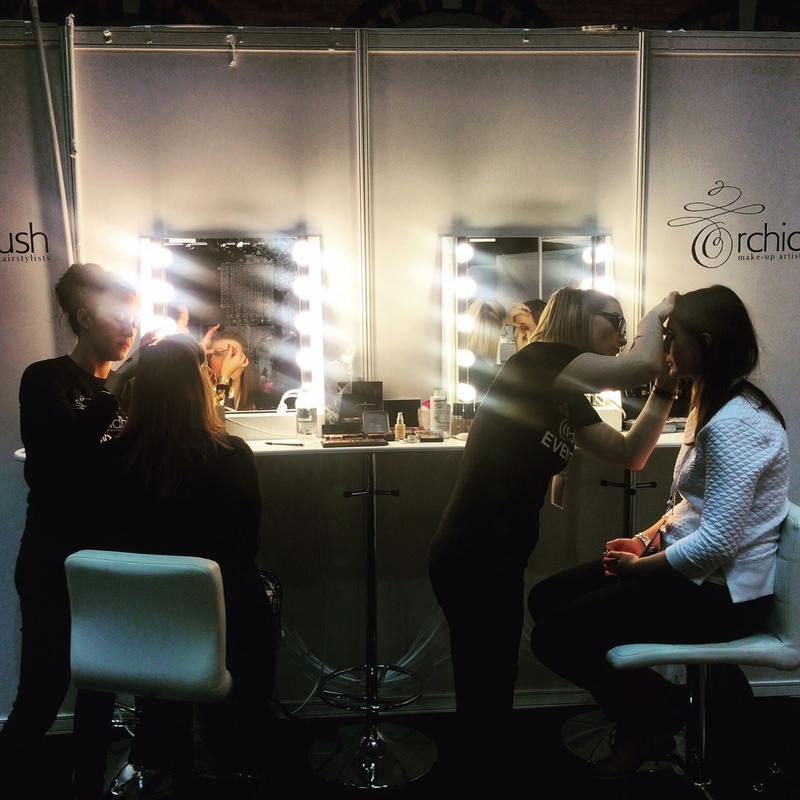 This weekend our Orchid Blush Hair and Make-Up team provided the catwalk hair and make-up for The Liverpool Wedding Show at the Echo Convention Centre. We also had a wedding stand and met lots of new brides and amazing wedding suppliers. This blog post is some highlights from the wedding show. If you follow the blog you may have heard us mention how much we love weddings at Knowsley Hall. Its such a picturesque venue especially on a sunny day and we love going there to provide hair and make-up services. Orchid Blush covers most areas in the North West. Please get in touch if you’d like some more information on our services. April has really been the month for hen party's . 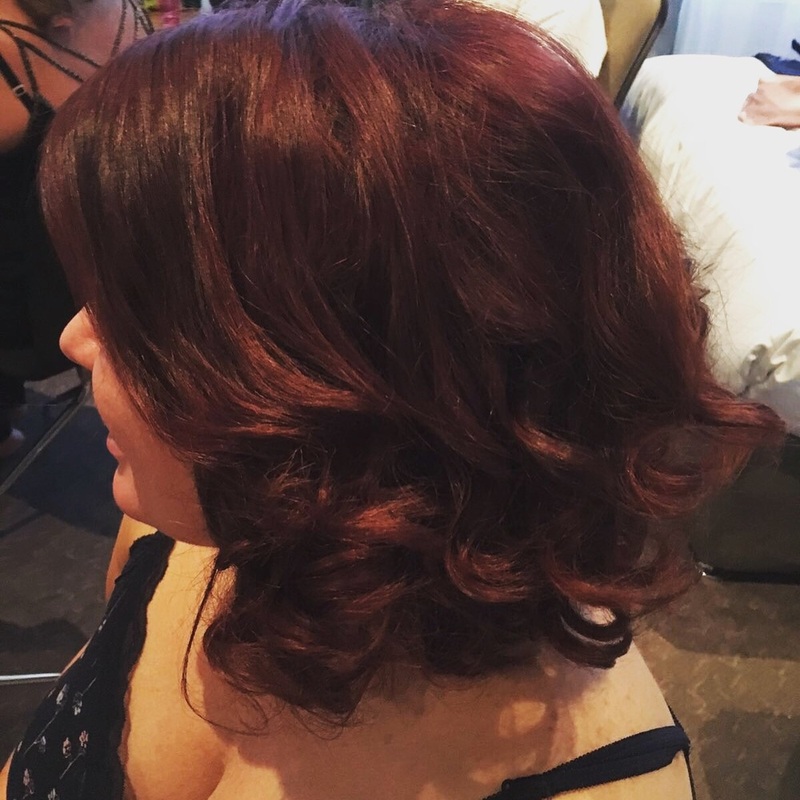 We have had lots of lovely clients to make over and have really enjoyed being part of their glam squad for the big night ahead. We cater for any size hen party and our team has catered for 40 ladies before. 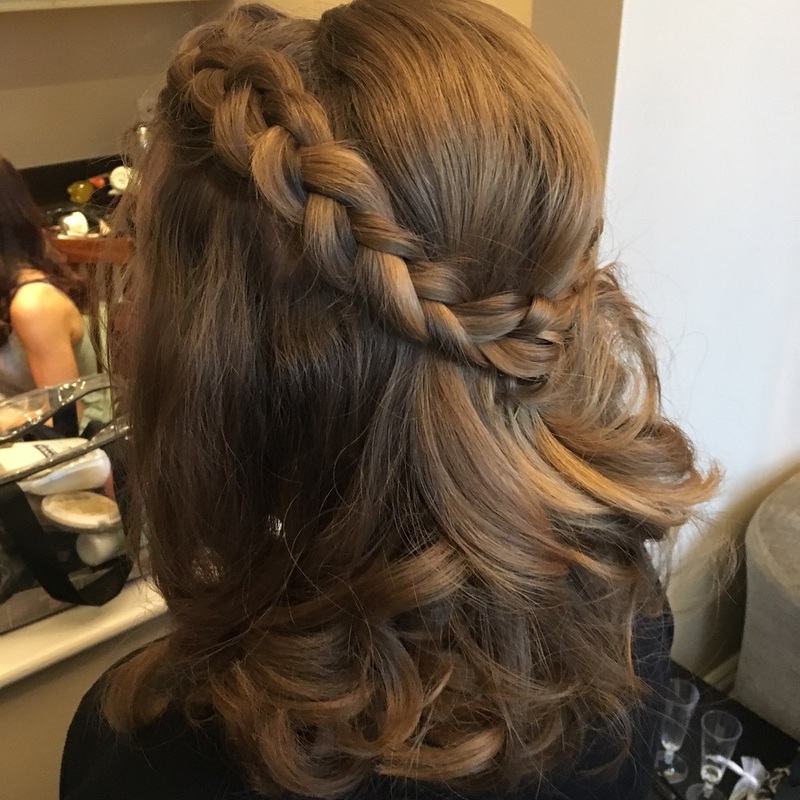 Priscilla's wedding at the Hope Street Hotel was a beautiful setting and she looked beautiful with classic bridal wavy half up half down bridal hair and natural flawless skin. Beautiful bridal hair and make-up from Orchid Blush hair stylists and make-up artists Ruth and Victoria. 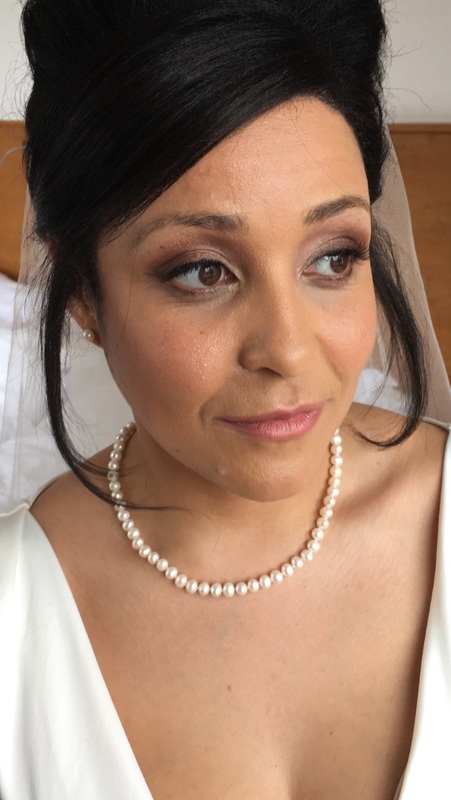 Farai's wedding at the Hope Street Hotel was a beautiful setting and Farai looked beautiful with Audrey Hepburn inspired classic bridal hair and beautiful soft smokey brown eyes. As spring arrives it's that time again Grand National when the city of Liverpool get's so busy with ladies glamming up and heading to the races. 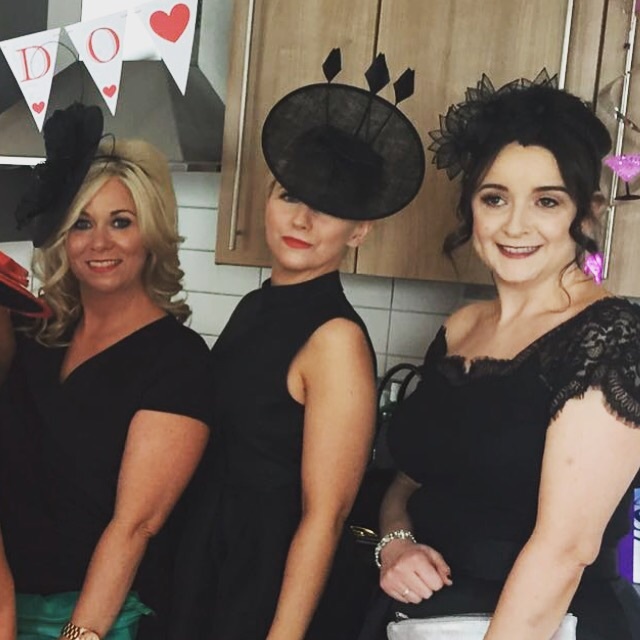 Our hair and make-up team were out getting lots of ladies ready for the races. This year over fifty ladies were got ready by our hair and make-up tea and lots of fun was had by all. It's that time of year again ... and as the Grand National approached our hair and make-up artist team were asked to set up mini pamper barrier hair, nails and eyelashes at the weekend in Outfit Speke and Prescot stores in Liverpool and new Outfit store opening in Chester. To celebrate the Races the lovely people at Outfit provided a free pamper bar to their customers on Saturday.Our teams set up in the store and met lots of lovely ladies and we hope they enjoyed being pampered as much as we enjoyed meeting them all. Topshop nail varnish in bright colours were popular in Liverpool. The Chester make-up artist team made the paper ! To find out more about what the Orchid Blush make-up artist and hairstylist team have been up to follow us on Twitter or Instagram @orchidblush or Snapchat @orchidblushteam. We are very excited to announce we will be at The National Wedding show this year on the 20th and 21st of February in Manchester. Our Senior Artist Ruth Marcella is designing the make-up looks for the main catwalk and we have a stand in the main area and the VIP section . So come see us we can give you tips on your make-up for the big day and it would be lovely to meet you.. This month the Orchid Blush hair and make-up artist team were excited to be involved in the My Liverpool Life fashion show at the Hope St Hotel , Liverpool. The designer brands included Dancing Dolls, Anthony Yassin, Sarvin, Bijou & Vintage, Laura James Millinery. Despite the weather the views from the floor to ceiling windows of the Fifth Floor suite provided a stunning view of the Liverpool skyline, with a break in the rain allowing guests to venture out onto the private terrace area to enjoy their welcome drink. The pictures below are some of the hair and make-up styles from the Orchid Blush team. Here are few behind the scenes shots from Orchid Blush Creative Ruth Marcella's make-up looks from Philip Armstrong SS Campaign. 2016 .. Ruth had the help of two fab make-up artist assistants Leah and Steph and we are looking forward to seeing the finished images in the spring. 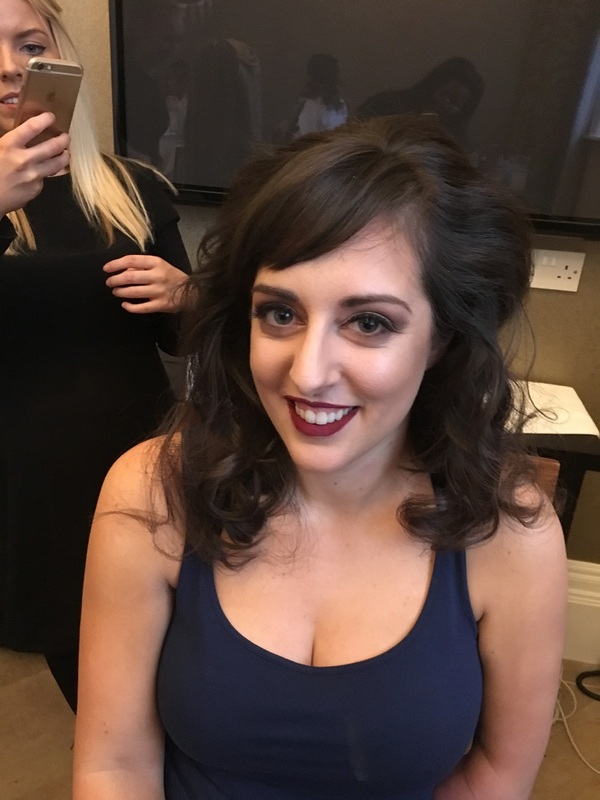 Orchid Blush are a team of Make Up Artists based in the North West of England, covering Liverpool, Manchester, Wirral, Cheshire and Lancashire. We are also available to travel outside these areas on request. Our artists have a wealth of experience working within events such as London Fashion Week and have also worked on Coronation Street and Hollyoaks events. Our work has been featured in local and national press and on Fashion TV, OK TV and ITV1. We work with premium brands including MAC, Nars, Chanel, Dior and many other professional brands not yet available in department stores. We choose the make up that will be right for our clients. We pride ourselves in offering a personal and bespoke service. Make-up artist and Hair team in Liverpool, Warrington, Wirral Cheshire and North West. Orchid Blush offer make-up artist and hair services including bridal hair and bridal makeup and wedding makeup and wedding hair. We have a team of professional makeup artists & hair stylists that can provide premium makeup and hair services for your next event including bridal / wedding makeup and hair. 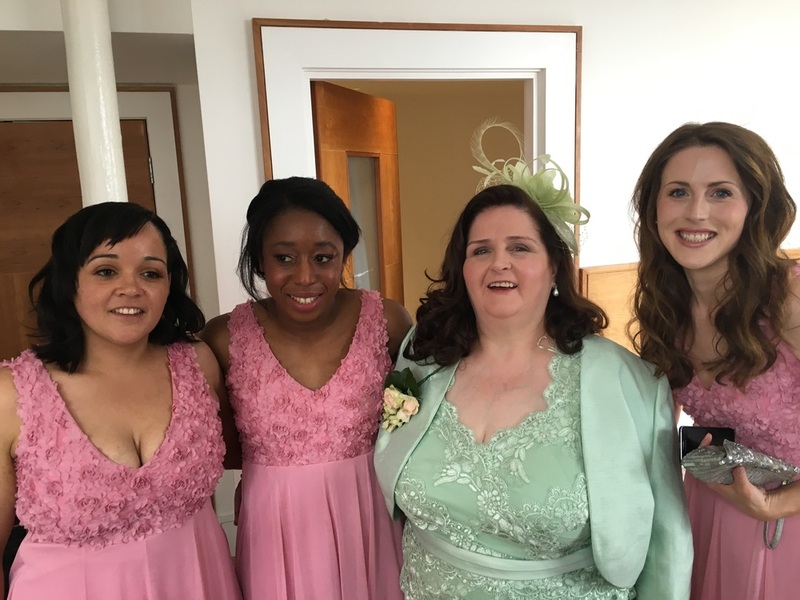 We also offer airbrush make-up and HD services.Orchid Blush provides full wedding make-up and hair services and can cater for all sizes of bridal party. 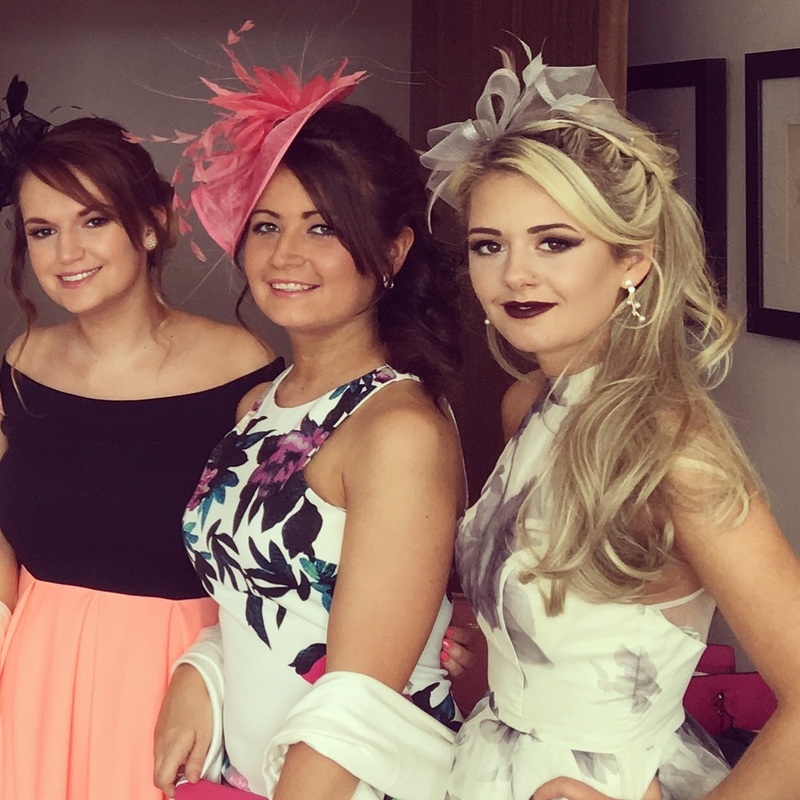 We offermakeup and hair services for any type of occasion whether it is a hen party, day at the races or if you just want to look extra special. 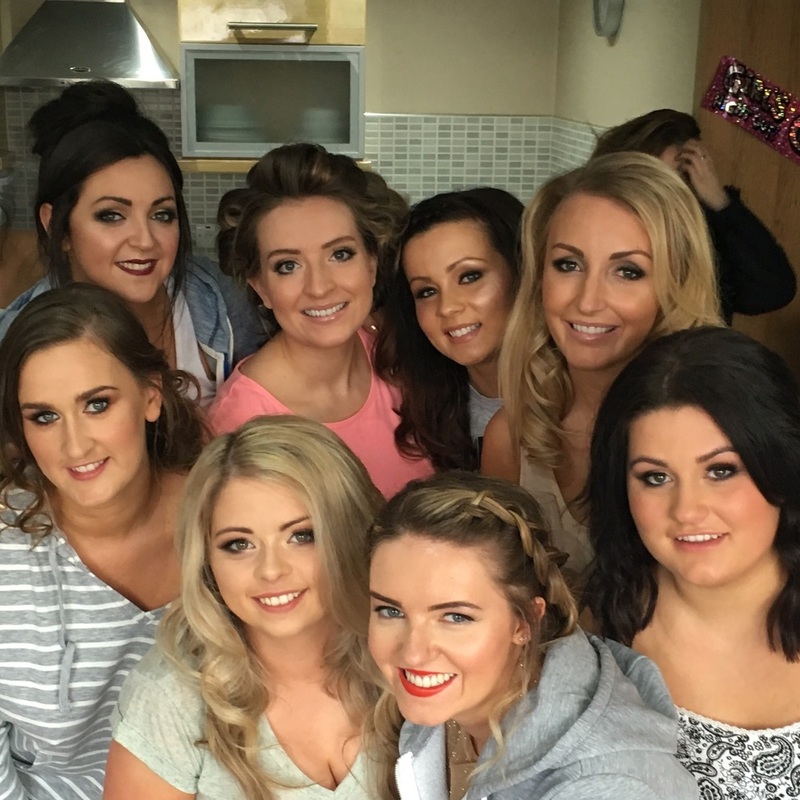 Our Liverpool bridal hair and make-up team are specialists in wedding hair and make-up. 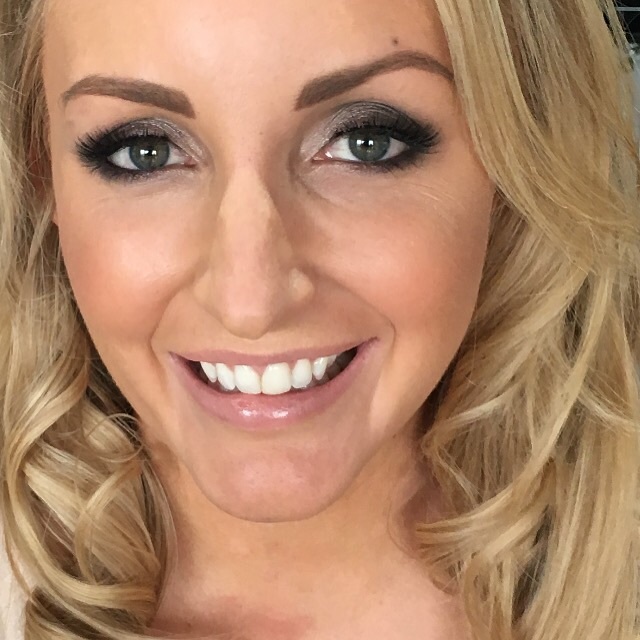 Orchid Blush has grown into one of the North West leading providers of make-up and hair services. We have a wide range of make-up and hair packages. We have a dedicated bridal make-up and hair team who specialize in bridal make-up and hair. Orchid Blush are a North West based service and we cover Manchester, Liverpool, Lancashire, Chester, and Cheshire, Wirral, Warrington and surrounding areas. .Every one of our clients are different and we offer a fully bespoke make-up and hair service. Our makeup artists and hair stylists are highly experienced and offer their expertise to the individual for a truly personalised experience.